It is funny, I want to say this is a moment frozen in time, but really the ice was melting. I was trying to take a photo of one of the drips just as it accumulated enough mass to break away from the cohesion water displays. 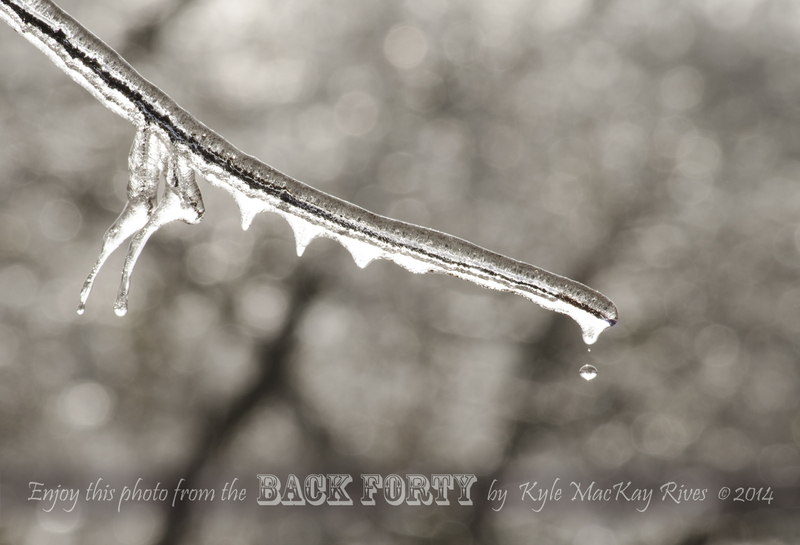 This entry was posted in photography and tagged 2014, ice, nature, outdoors, photo, Photograph, Photography, winter. ← Rocket into the New Year! Cool shot. You have to have an amazing amount of patience to get an image like that. Thanks. It was fun trying to time it right.